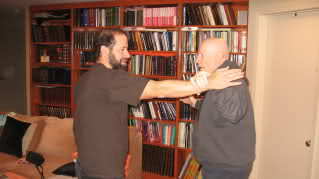 The following is a guest blog by my friend, teacher and mentor, martial arts legend Professor Arthur Cohen. This was originally sent as a letter to the editor of the Jewish Week. I want to compliment the Jewish Week on its coverage of the Rabbi Lanner, OU, NCSY child abuse incident. All too often “dirty laundry” is shoved away and we fail to learn from our mistakes. It takes courage to face your problems. As an advocate for personal safety training for the young and particularly young women, I have been particularly concerned with the events of this case. Can anything be clearer than that? Not to me. So I began contacting the public schools about offering personal safety programs for women. I was met with apathy, ignorance and denial. I contacted many women’s organizations i.e. girl scouts, the American Association of University Women and others, and met the same reluctance to do anything. I contacted many Jewish women’s groups at over a dozen temples, Hadassah etc. and again no interest. So apathy and denial is not “just a male thing.” A few school districts elected to offer a program but the vast majority didn’t think they needed it. And finally, I contacted the Board of Jewish Education with similar results, not interested. What I found most interesting was the article in the Long Island Update of your recent issue. Child Abuse Prevention Training Program sponsored by the Board of Jewish Education because it “helps fulfill state requirements for early childhood educators.” The Board of Jewish Education had to wait until NYS required them to do this. This should have been done on their own years ago. Maybe we have to look at who is making the decisions at the Board of Jewish Education as we have at OU? Maybe the people who are in charge of the education of our young don’t recognize what is important. I am available to discuss with any organization ways to get a program going. Professor Arthur Cohen BA., MA. Prof. Cohen's devotion to the cause of personal safety has been an inspiration to me. His teachings go far beyond the physical elements of Self Defense. He opened my eyes to the importance of taking everything possible into account; the environment, the climate, psychology, sociology etc. 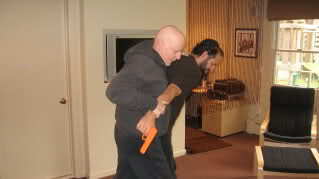 His teachings have become an integral part of IKI Krav Maga. I would strongly advise everyone to purchase his books. You will thank me.